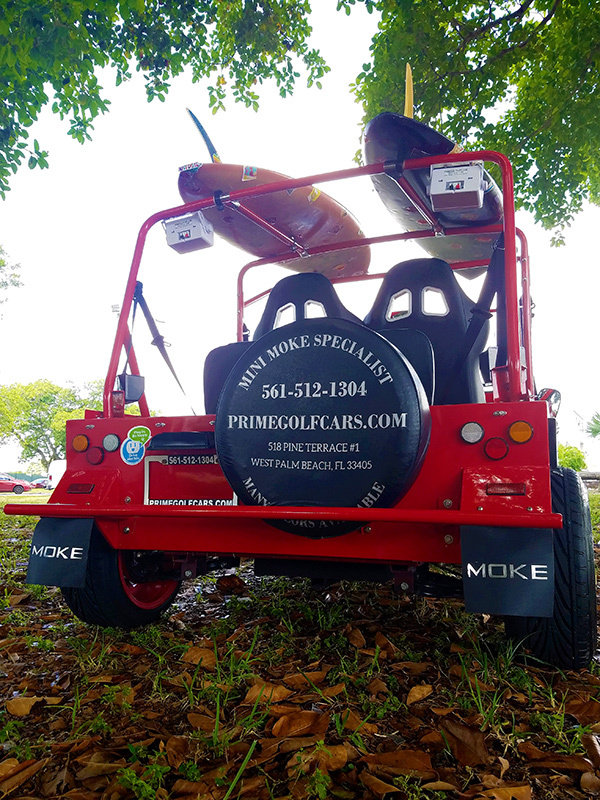 The quality of the Red Moke Golf Cart begins in the engineering of the car from the ground up. 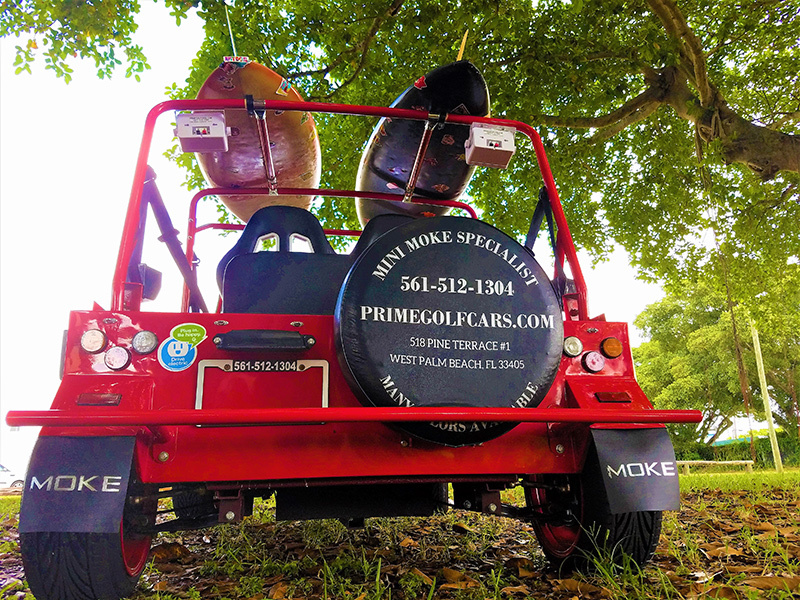 The Moke Golf Cart uses a long lasting 48-volt system to ensure maximum range using industry leading Trojan AGM batteries managed by the SEVCON computerized controller. 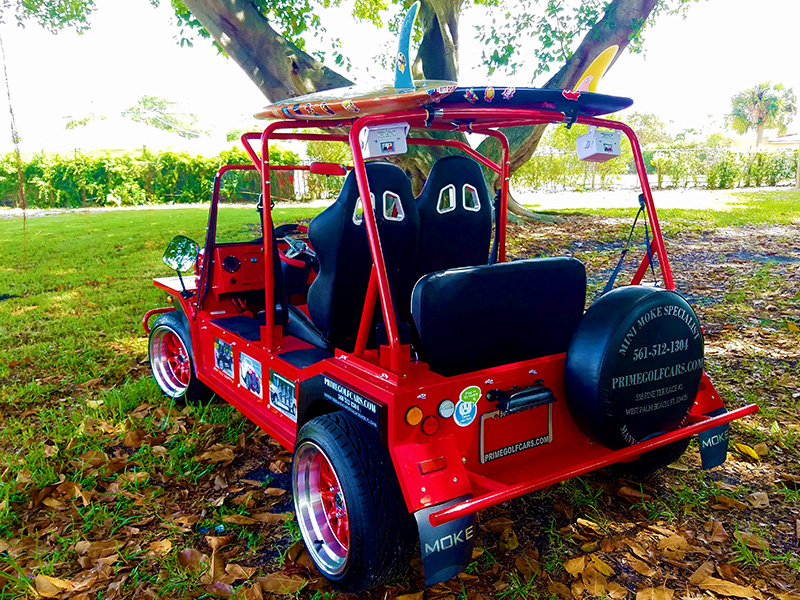 The Hi-output 20 peak horsepower induction motor is powerful enough to move you and your passengers up hill and yet it is efficient enough to deliver a higher range than the industry average. 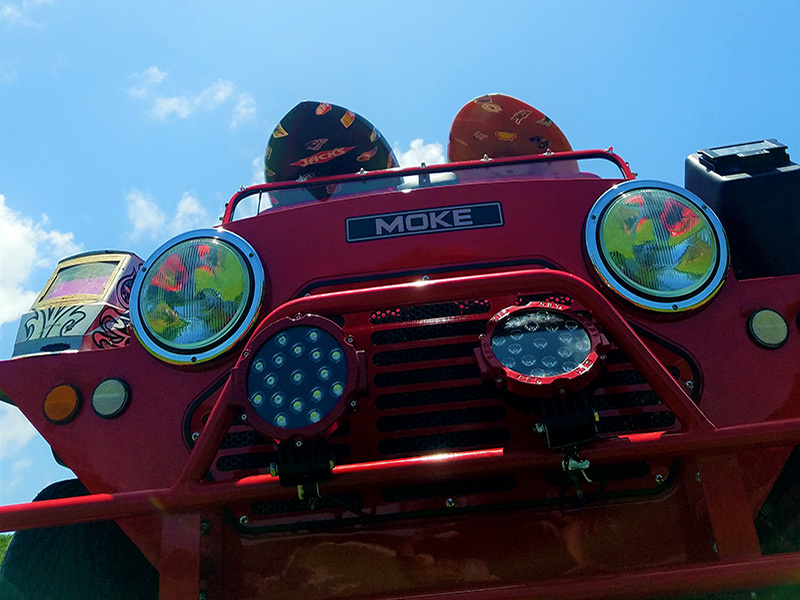 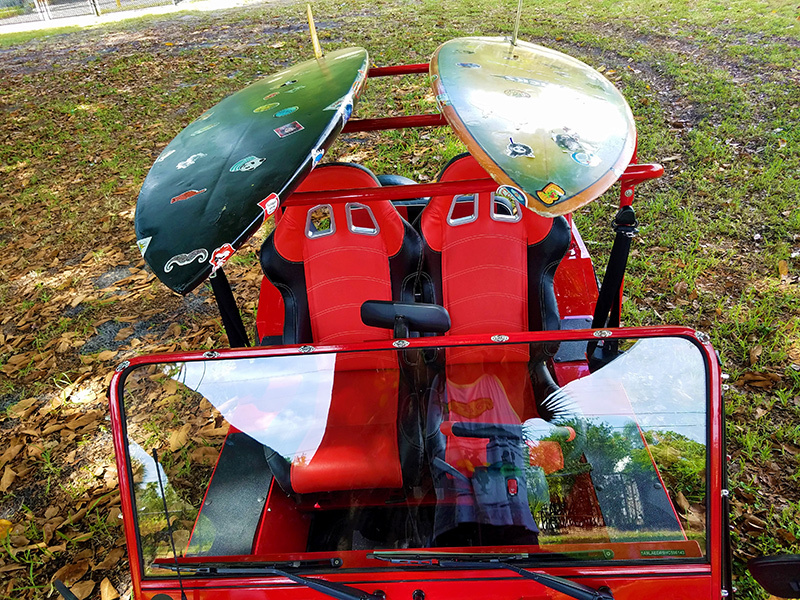 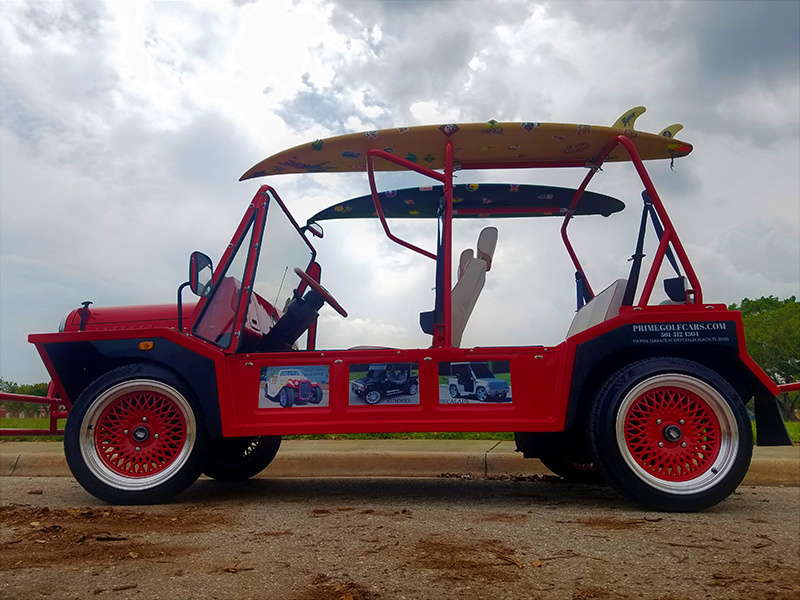 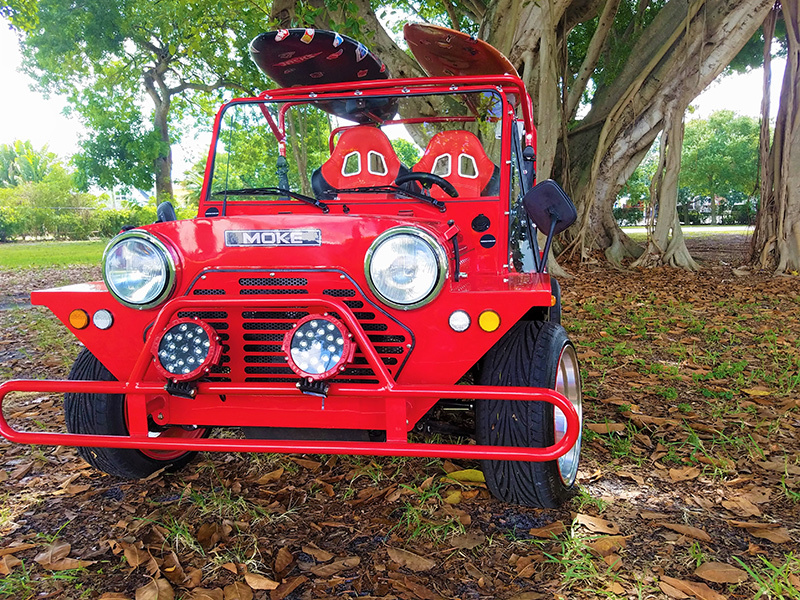 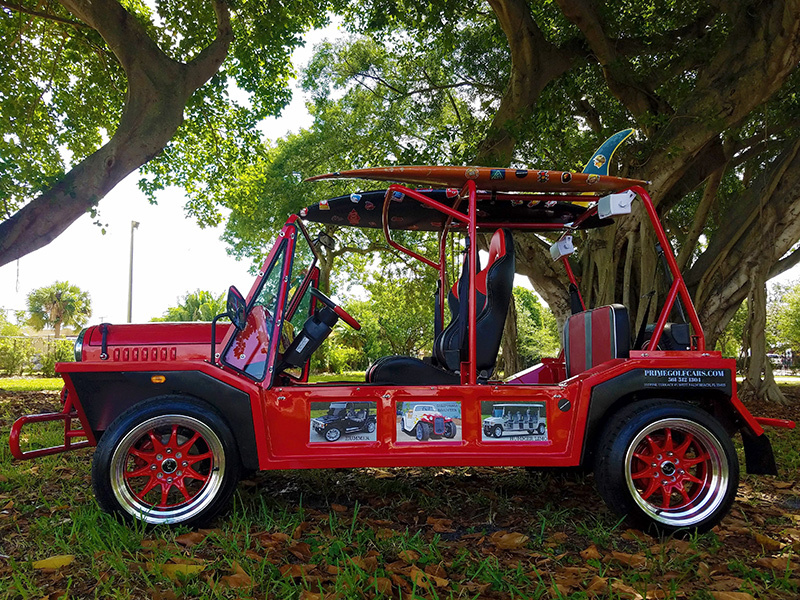 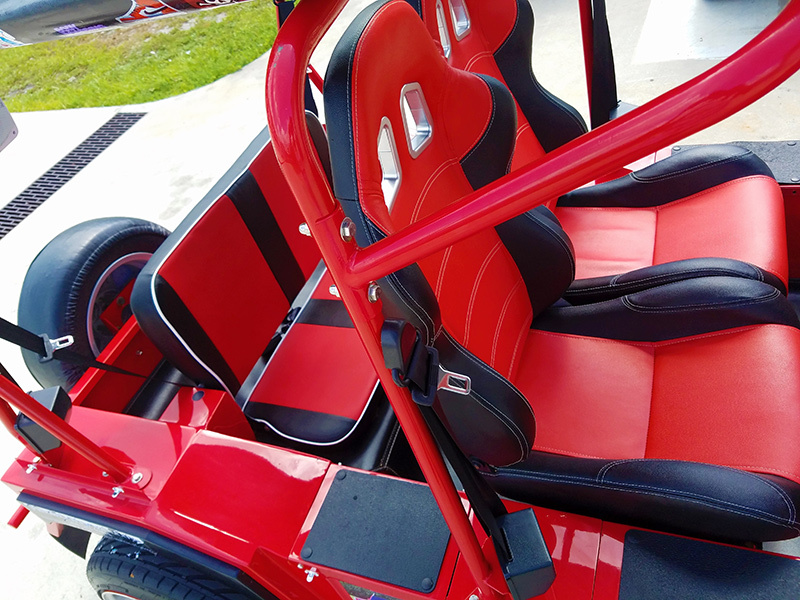 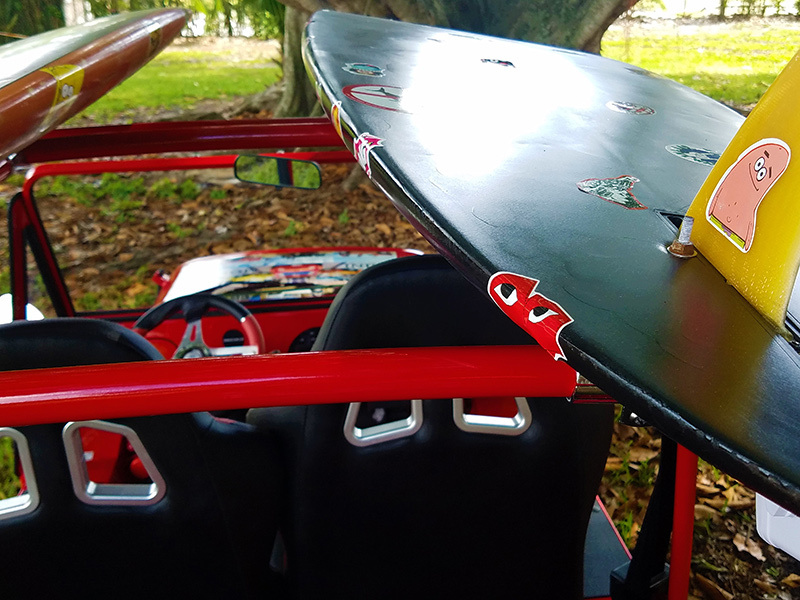 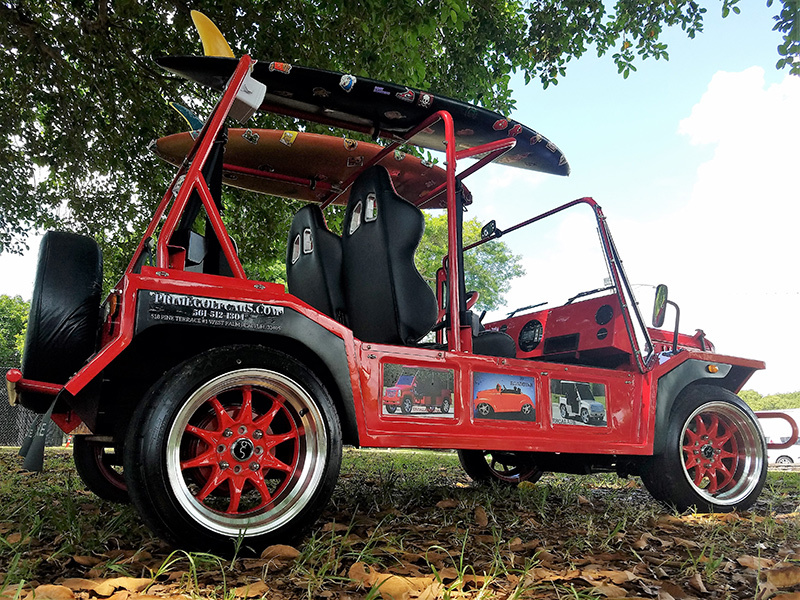 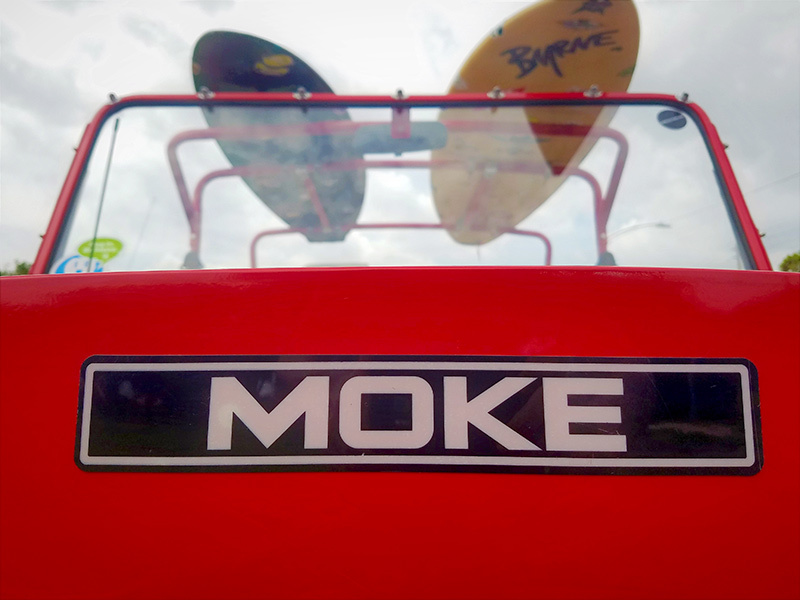 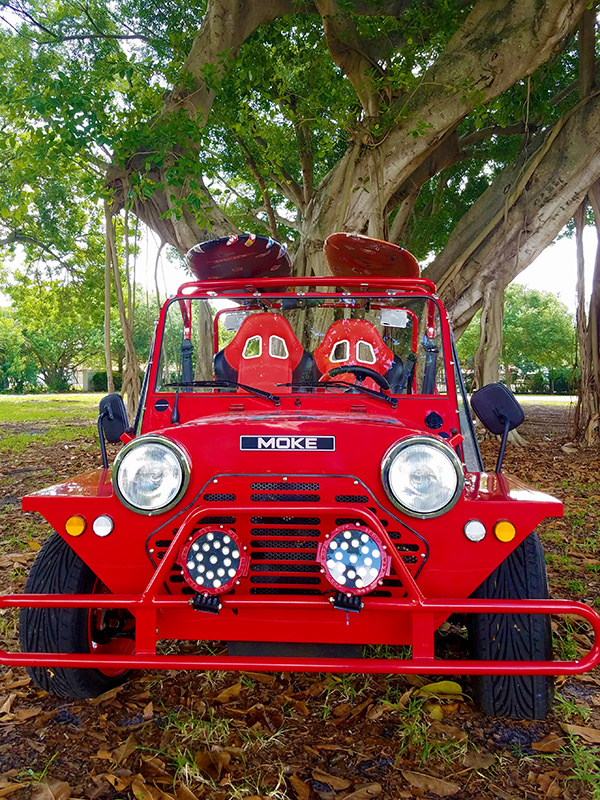 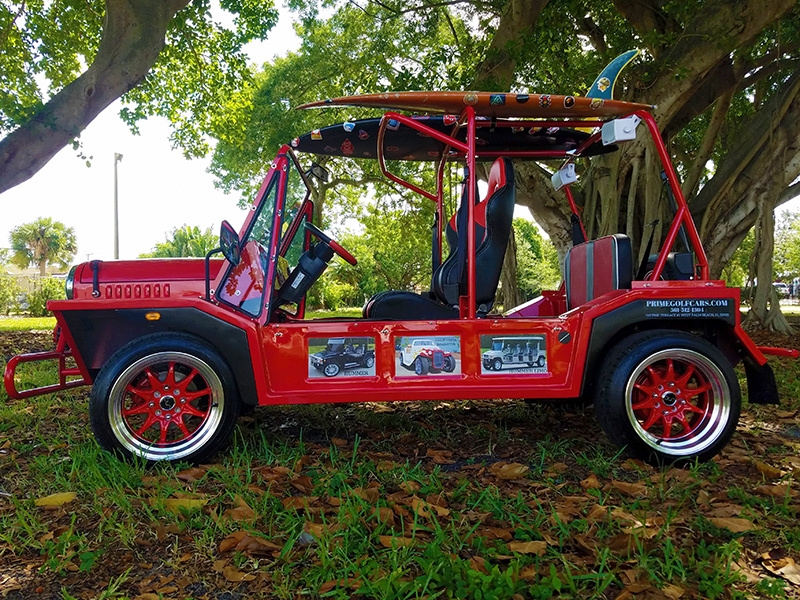 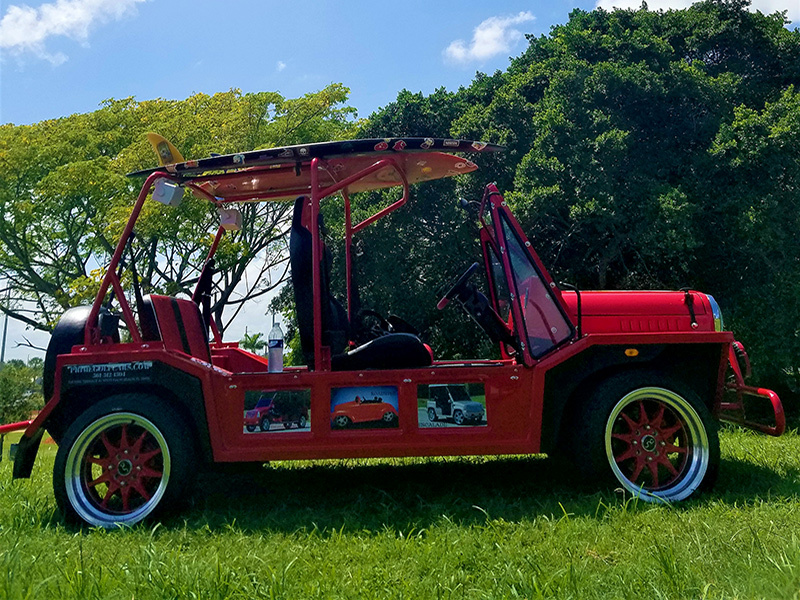 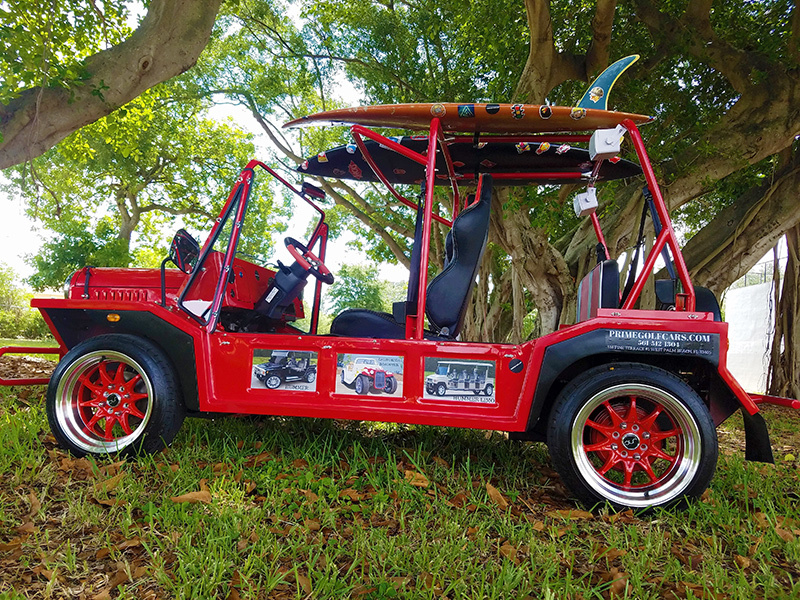 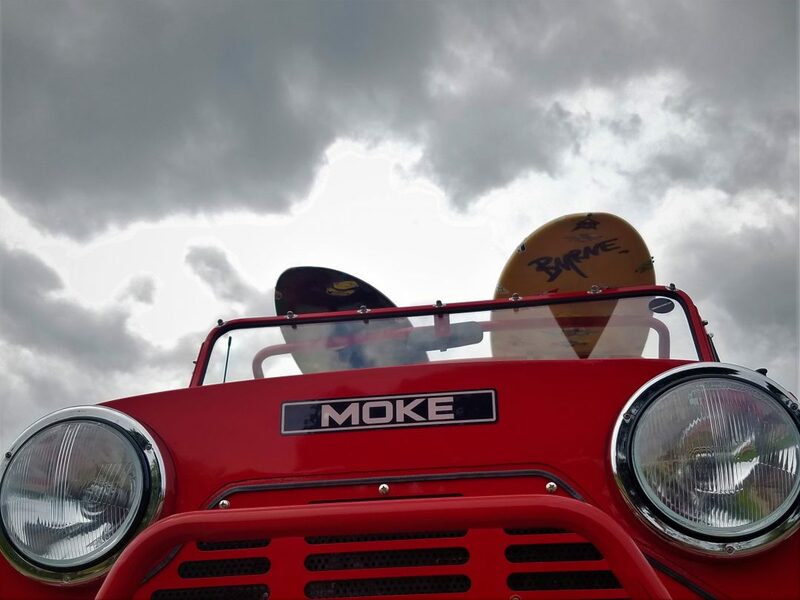 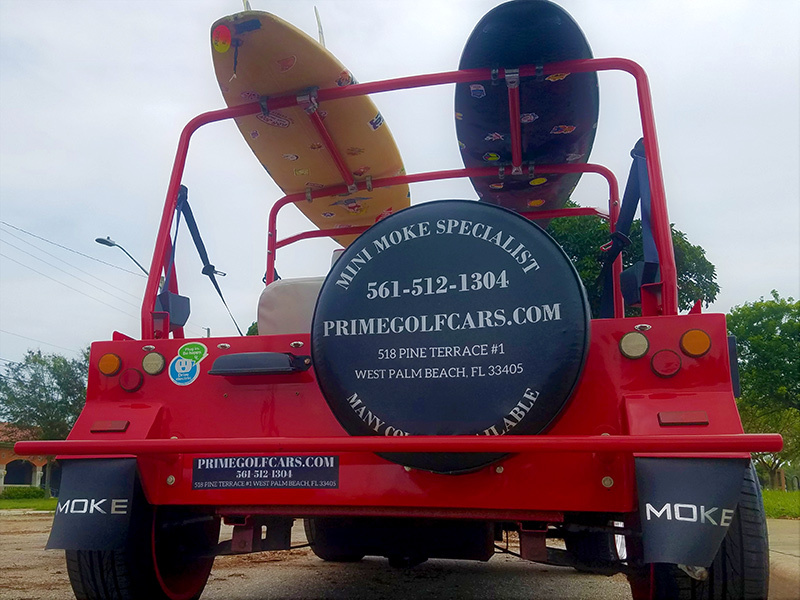 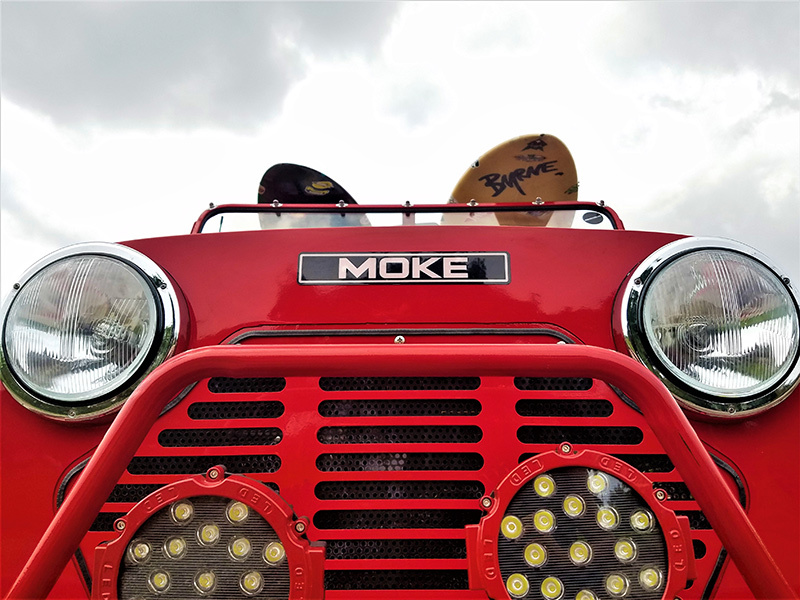 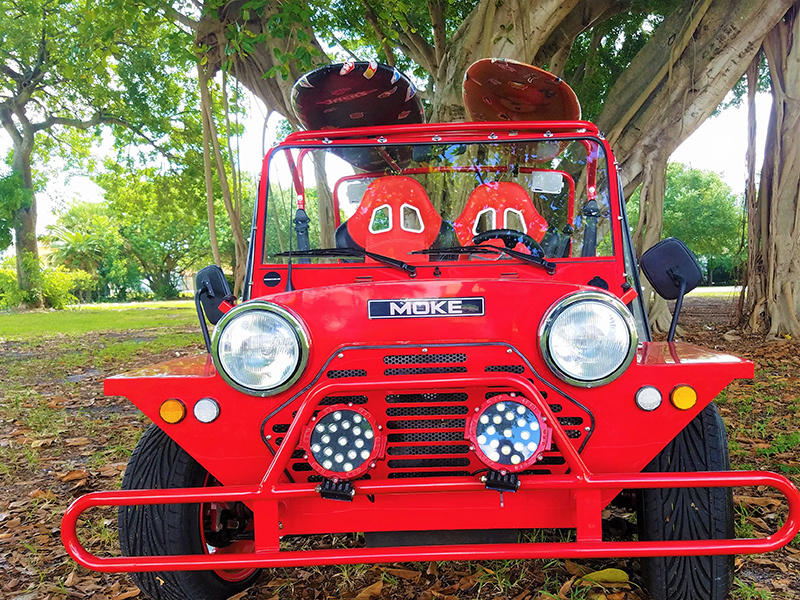 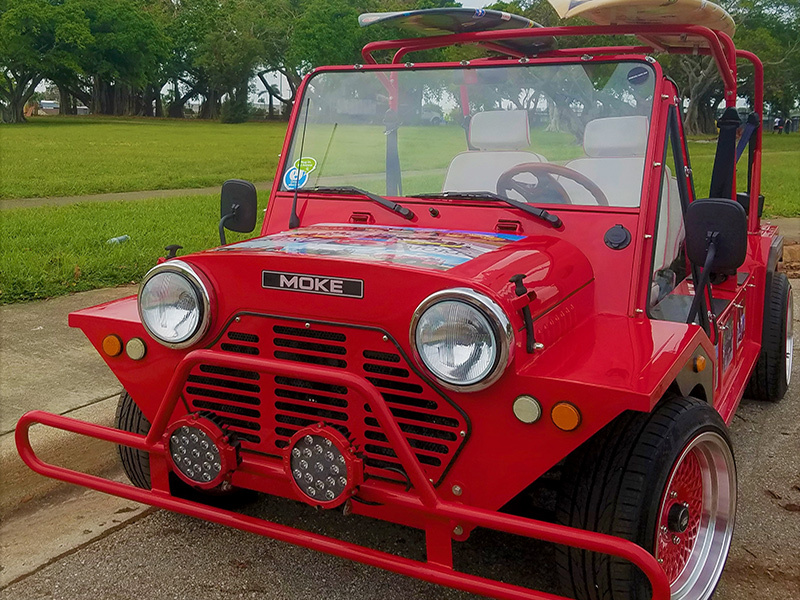 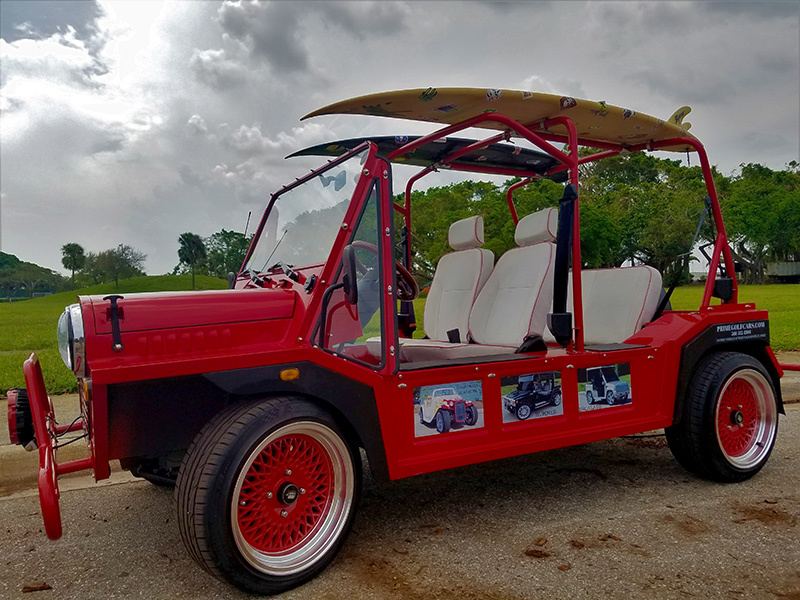 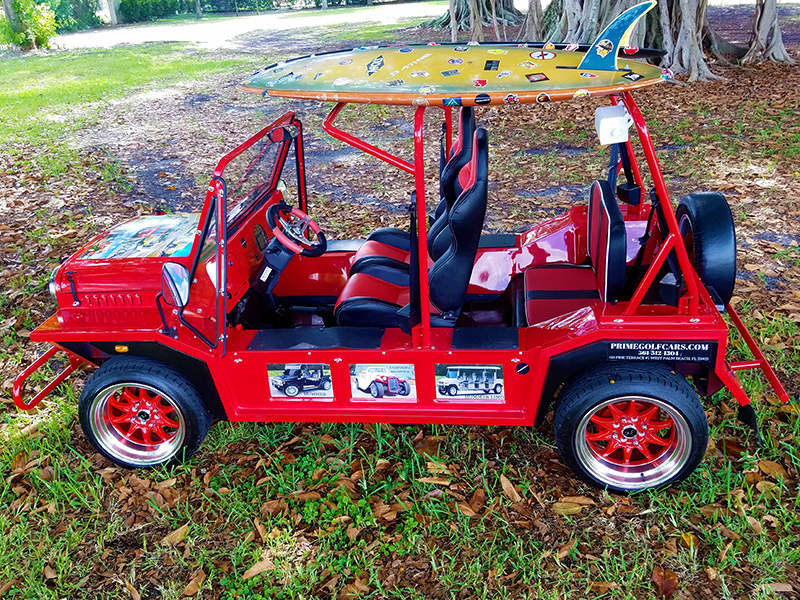 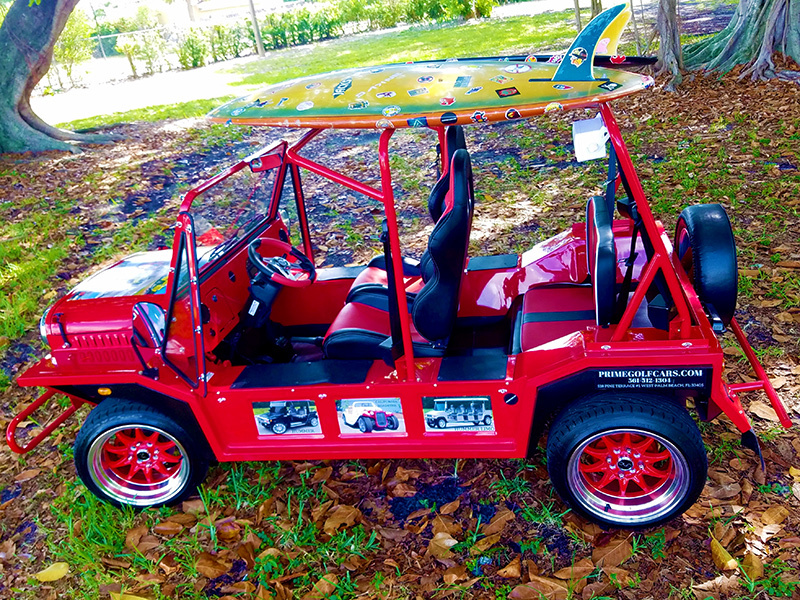 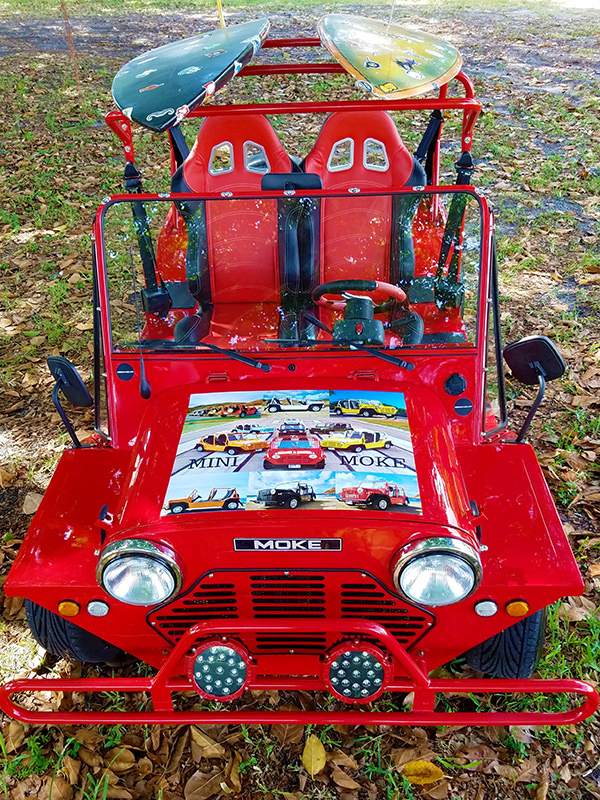 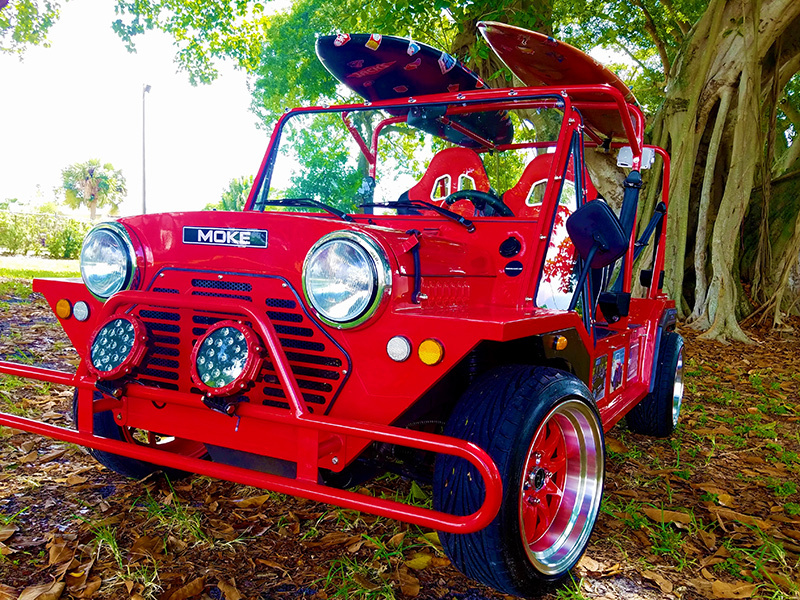 The Red Moke Golf Car also features an on-board 12-volt converter that gives you an in-dash power source to power your cell phone or laptop computer. 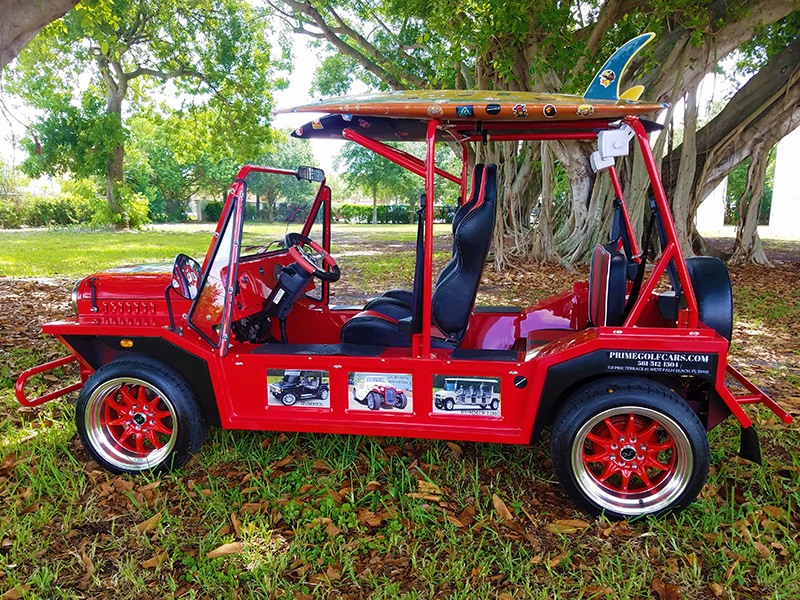 With all of the standard features that have been engineered into the Red Moke Golf Car, ACG Inc. has reset the bar in the Custom Electric Vehicle industry to a level that has never before been seen and that other companies can only hope to come close to.